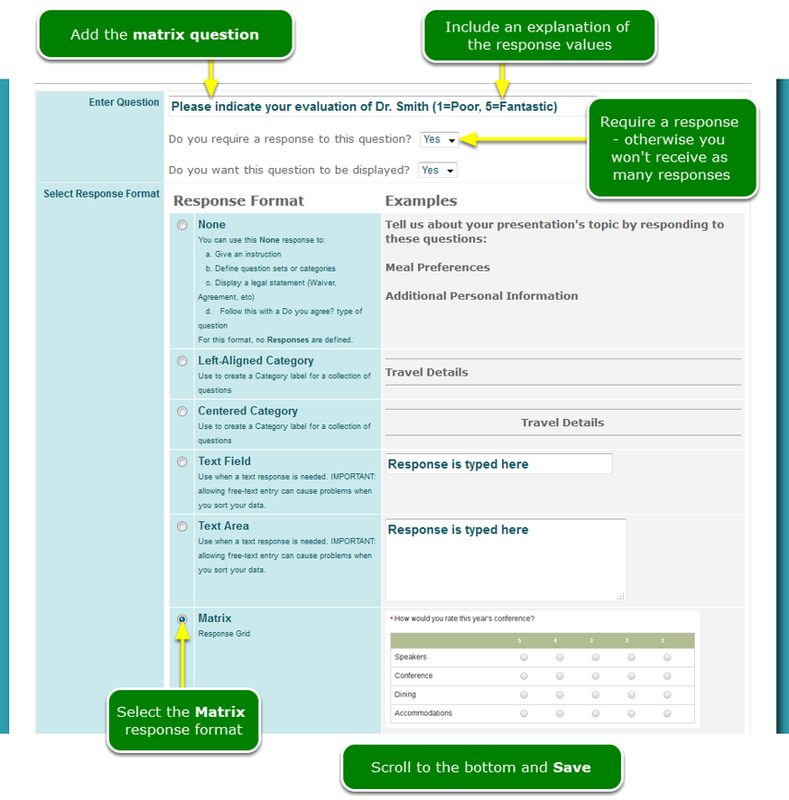 Help Documents - Version 5 Post-Event SurveysHow do I set up a matrix of questions? What is a matrix of questions? 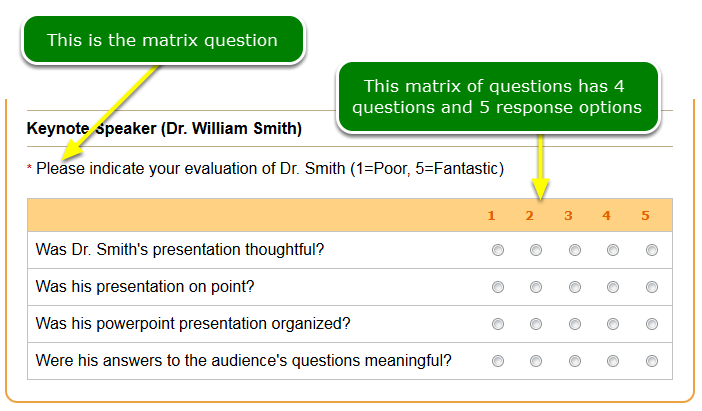 A matrix of questions is a group of individual questions whose responses share a set of radio buttons that represent a range of choices along a subjective scale. The matrix of questions below has 4 questions and 5 response options. IMPORTANT: If you require a response to the matrix question itself, all of the individual questions will also require a response. 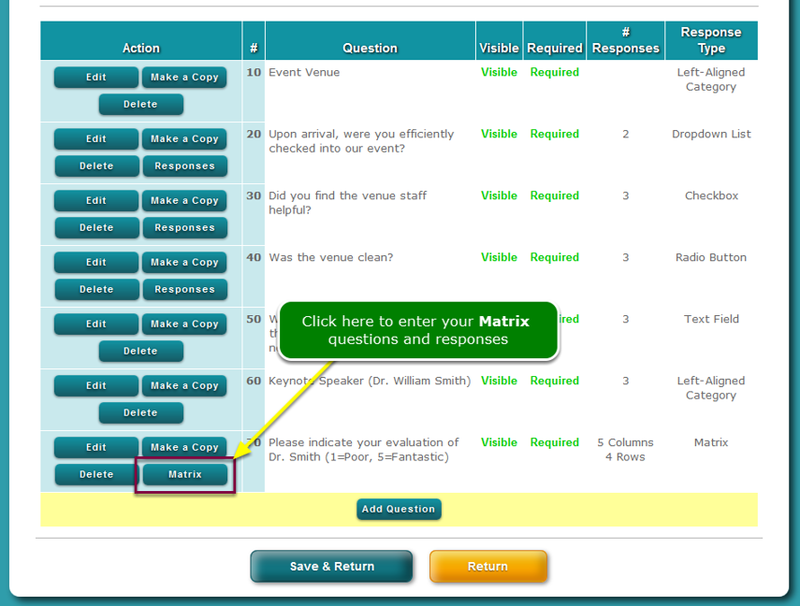 Individual questions, in the matrix, cannot be set to be not required or required. Â The matrix question itself determines required-ness.for the individual questions. Enter your response options, one per field. Â The numbers below match the black circle numbers in the screenshot below. 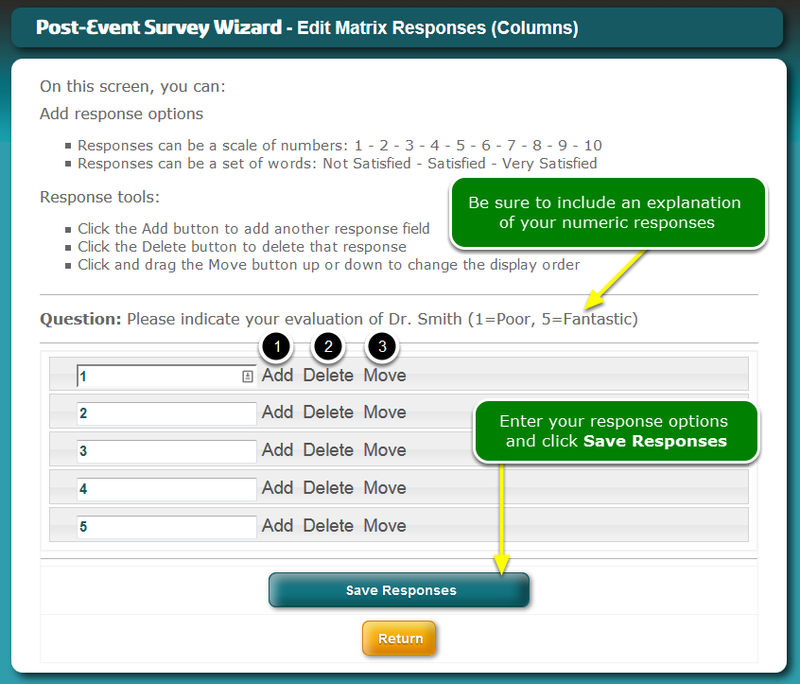 Now add your questions by clicking the Add Questions (Rows) button. 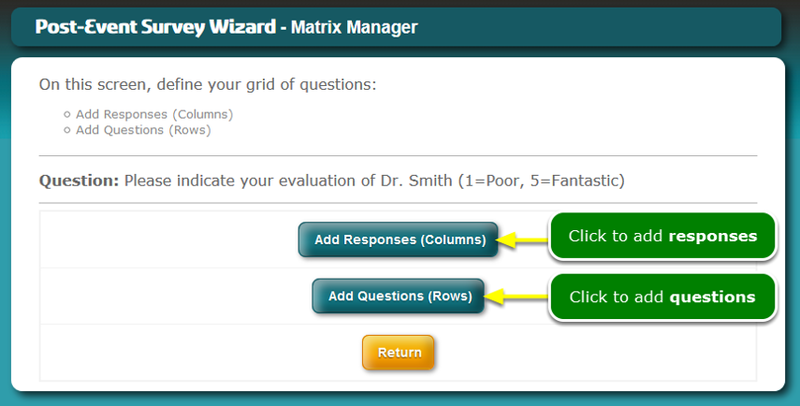 Below is the Add Matrix Questions screen. Click the Return button to go back to the Matrix Manager screen. 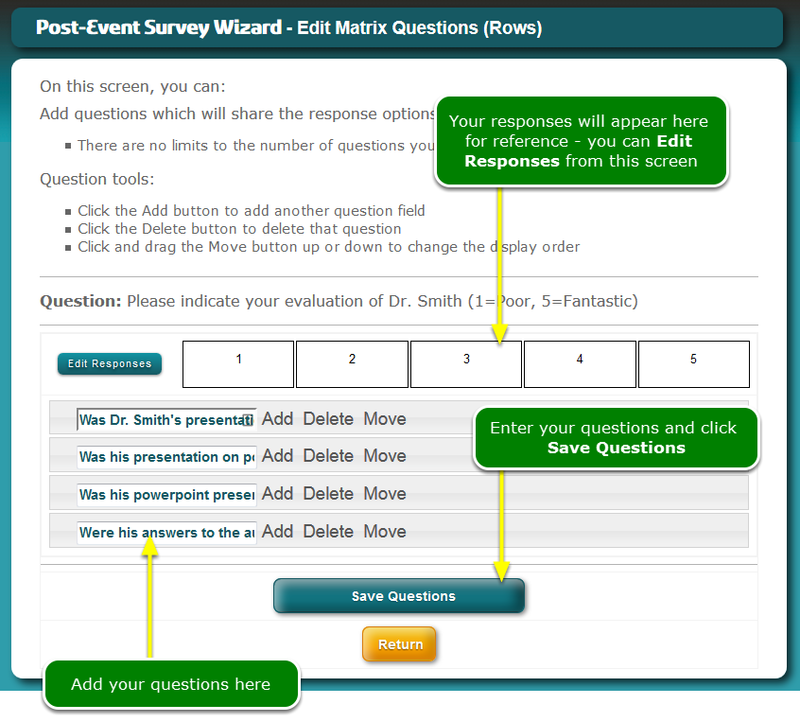 Prev: How do I create a Post-Event Survey? Next: How do I send a Post-Event Survey?